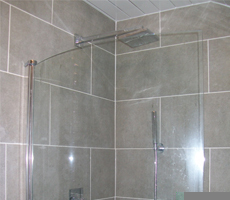 If you are looking for a new fully fitted bathroom installation, you have come to the right place! Your bathroom is one of the most important rooms of your house as it is a place when you can relax in a nice hot bath and forget about your worries so when deciding on a new bathroom design it is very important to take ambience into consideration. Our team of bathroom designers and bathroom installers can handle bathroom designs or fitting whether it be an overhaul of your existing bathroom, a new en-suite installation or wet room. 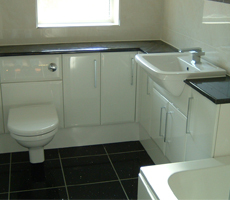 Priding ourselves on having a team of professional designers and fitters, we can do the complete installation from start to finish without getting any third parties involved so Tadley Bathrooms can offer a full guarantee for work commenced. We offer the choice and freedom for you to choose your own sinks, suite, bath, shower, cabinets and accessories and we will help you with our experience to complete the bathroom design and then go on to plan the installation keeping our clients involved in every stage of the build so you can understand the process and feel comfortable.